Location: Scarborough, North Yorkshire, England. 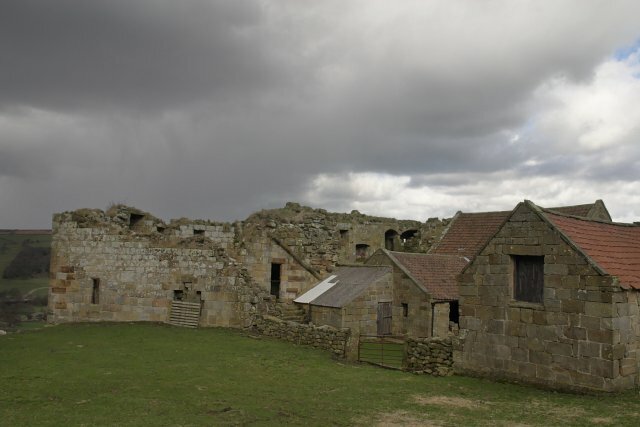 Notes: Danby Castle occupies a commanding position on the far slopes of Danby Rigg. It was built in the 14th century for Lord Latimer as a sign of his great wealth and, in its day, was of pioneering architectural design, combining both defense and comfortable living. Catherine Parr once lived at the castle, before she became the sixth wife of Henry VIII. The castle is now an award winning wedding venue and part of the building is now a farmhouse and the family home to the owners of the wedding venue. Danby court leet, the all male, baronial court whose origins were, in the past, those of a manorial court, but whose functions are now restricted to the management of common land, regularly meet in the castle�s courtroom.